You guys may or may not remember that a couple of week’s ago, I chose Witchstruck by Victoria Lamb as my Waiting on Wednesday post. Right after that went live, Victoria Lamb herself emailed me about participating in a blog tour for Witchstruck when it was released. I readily said yes. One does not say no to a Tudor his-fic piece about a teenage witch! So, without further ado, give a warm welcome to Victoria Lamb! While studying Elizabethan and Jacobean playwrights at university, Victoria Lamb conceived a desire to write a series of novels about Shakespeare’s ‘Dark Lady’. Now a busy mother of five, she has finally achieved that ambition after much research, and The Queen’s Secret is the result. Daughter of the prolific novelist Charlotte Lamb, Victoria lives in Warwickshire – also known as Shakespeare Country – only twenty minutes from Kenilworth Castle where The Queen’s Secret is set. 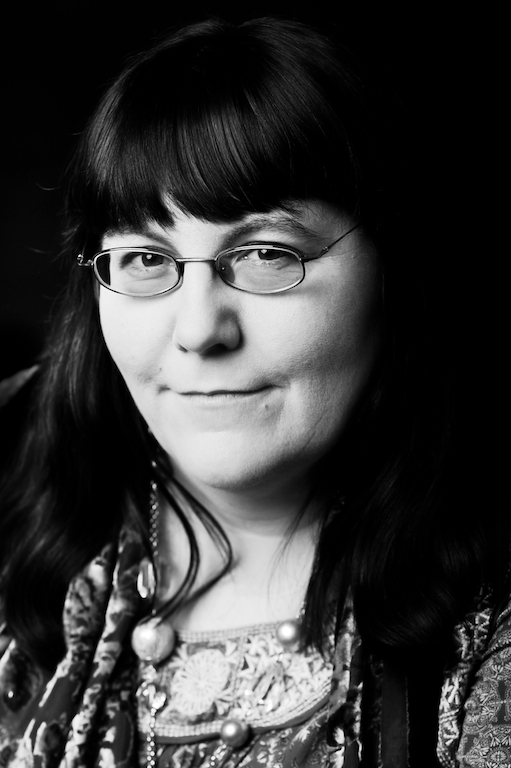 She is presently working on her new novel featuring Shakespeare’s ‘Dark Lady’, Lucy Morgan. I was born into a family of writers, which helped set the scene for my future career. But it wasn’t until the day I was taken to see where the poet John Keats lived at Hampstead that I made a conscious decision to become a writer. I was fascinated by his tragic life story and by his poetry, and determined to write poetry myself – starting straight away at the age of about ten! It’s hard not to find a story about a teen witch intense and compelling when it’s set in a time when just being suspected of witchcraft could earn you an agonising death. Briefly, can you talk about the path you took to getting your book published? I had already discussed Witchstruck with my agent long before even beginning to write it, so he was fully behind the book by the time it was finished. I emailed him the manuscript, and about a week later the first three books of the series had been acquired by Random House Children’s Books. Normally I listen to music on my headphones while writing. Very loud pop music is my drug of choice. In general, I prefer mainstream pop to indie when working, as it tends to have a strong beat and the generic lyrics are unlikely to distract me. I do have playlists for some of my chapters. Sometimes I get entirely taken up in my writing and forget the music’s finished. That always feels odd when I finally notice. I’ve also developed a habit of clutching a pen in my hand while actually typing. I don’t know what that’s about. I gave up smoking about five years ago, so maybe it’s a substitute? Yes, I like to think I’m very like my hero in Witchstruck, Alejandro. I’m not Spanish, nor male, nor a priest, but I think he has my very dry sense of humour. And perhaps my tenacity too. He doesn’t give up easily. Now, Witchstruck focuses on Tudor times when Mary is queen, but who’s your favorite wife of Henry VIII and why? Definitely Katherine of Aragon, mainly because she stuck that man for twenty-four years and did her best to give him a son. She fell pregnant as many as six or seven times. Apart from Mary, she either miscarried or her children were stillborn or died soon after birth. And at the end of that, he divorced Katherine in her late forties and married a much younger woman in the hope of a male heir. The irony, of course, is that it was his daughters Mary and Elizabeth whose reigns stand out in history, while his son by Jane Seymour died after only a few years on the throne. I read quite a lot of fantasy fiction, sci fi, and also non-fiction. I’m researching Steampunk at the moment. I don’t like recommending new books in general, as it feels a bit awkward. But everyone should read an Anne McCaffrey ‘Pern’ novel at some point. Futuristic other-world telepathic dragons and their riders. For YA readers I’d start with Dragonsong. So, I know you can’t be writing all the time. What kind of adventures have you gotten up to while taking a break from writing? What’s the better YA trend: vampires, angels or mermaids? Or do you run screaming from all three? I’d have to go with angels there. Vampires feels like it’s been done to death, and angels have a long and venerable history dating back to before the Bible was written, which gives them rather more gravitas than someone with over-sharp teeth and a blood fetish. Or it should. Mermaids though? Seriously? I recently finished ‘Witch Light’ by Susan Fletcher, which was quite a literary read. I’m looking forward to ‘Frostfire’ by Zoe Marriot, another new release this month. I’ve enjoyed it. Thank you, Gretchen! BUT WAIT, there’s more! There’s a GIVEAWAY! You’re excited, right? Because who wouldn’t want a copy of this? It goes til July 18th, 11:59 PM and is INTERNATIONAL! Click HERE to enter! Many thanks for inviting me to be on your blog. This was a fun interview! Sure thing! Might not be you; WordPress looooves to add strange grammar marks while I’m not looking. I had the post auto post while I was sleeping, so I haven’t checked it yet. Thank you! This was fantastic! 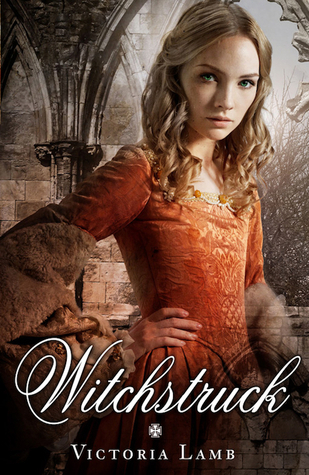 I’m now SO looking forward to reading “Witchstruck”! Can NOT wait to read this! Great post!! Katherine is my favorite queen, too. Great interview, and thanks for the chance to win!